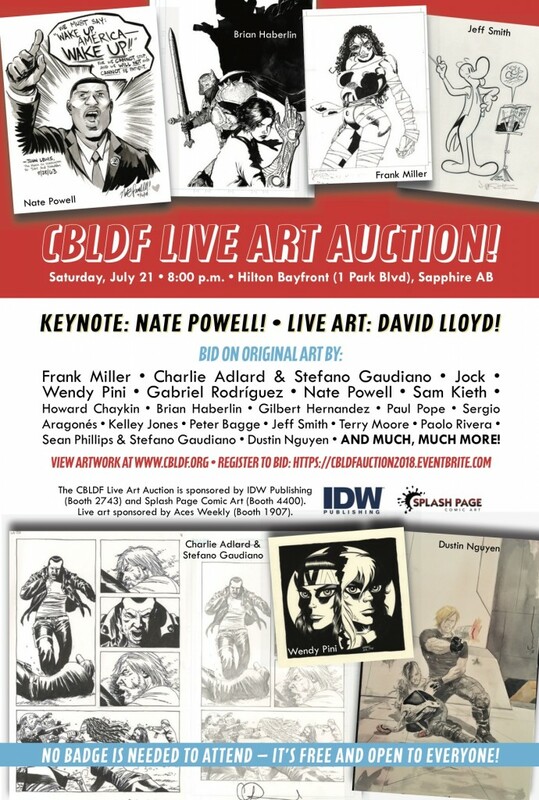 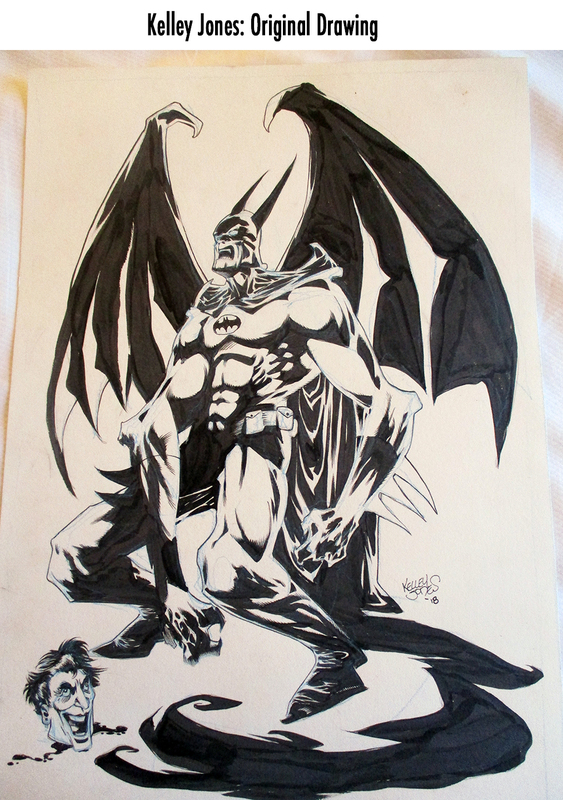 Join Nate Powell, David Lloyd, IDW Publishing, and Splash Page Comic Art to support Comic Book Legal Defense Fund’s Comic-Con Auction, happening Saturday, July 21, at the Hilton Bayfront Sapphire AB. This auction is open to all — YOU DO NOT NEED A COMIC CON BADGE TO ATTEND! 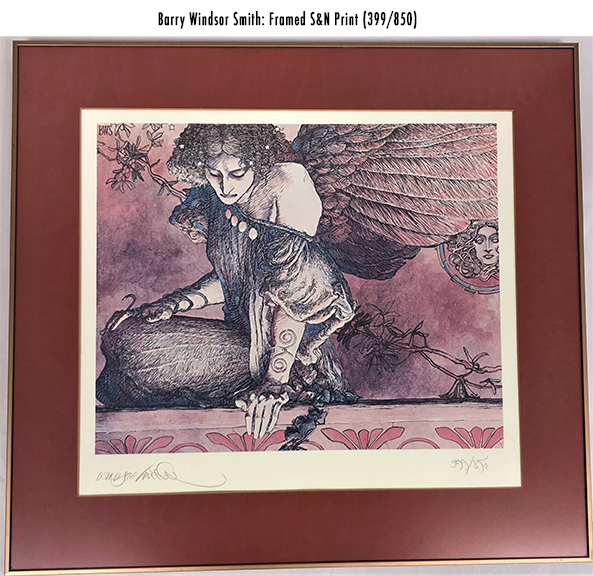 Last day for Remote Bidding!